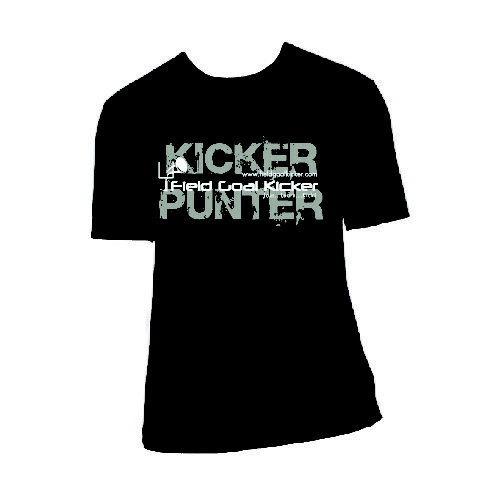 Looking for a tough, durable football kicking holder that is priced right to boot? The COLOSSUS holder is light (only 12oz) but DURABLE. AND, because it is so light, we now offer a repackaged FREE SHIPPING option for you. 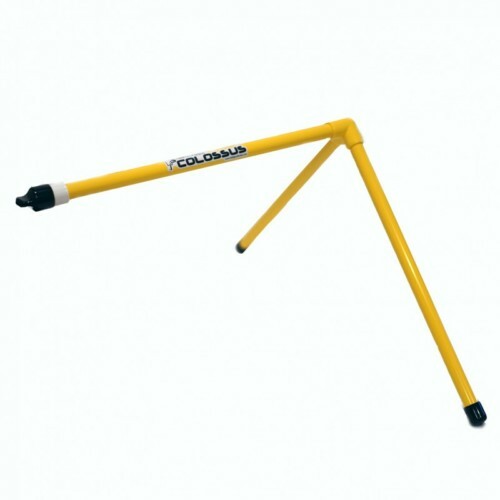 This makes COLOSSUS kicking holder a highly economical football kicking holder when purchased online. How about downloading our FREE kick tracker PDF with your purchase? Learn how to kick better by building a consistent kicking routine with Colossus and tracking every detail of your practice kicks. 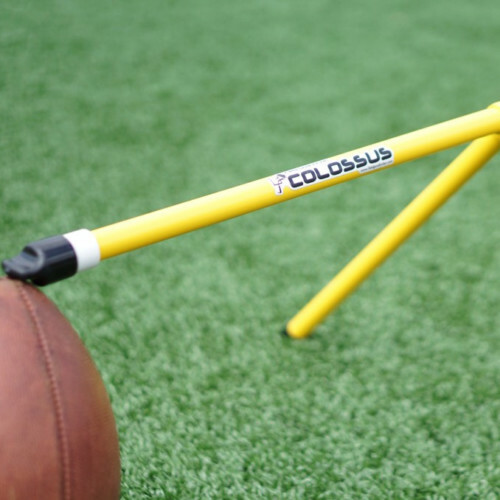 I’ve been using my own COLOSSUS kicking holder (shown on the home page video clips of this site) for 4 years and it looks/holds the football the same as it did on day one. I use it to hold the football when I create video lessons and tips for our kicking instruction video membership students. Find out below (read the Product Description below for more details!) how we designed this holder to be a kicking holder that will last as long as you kick. 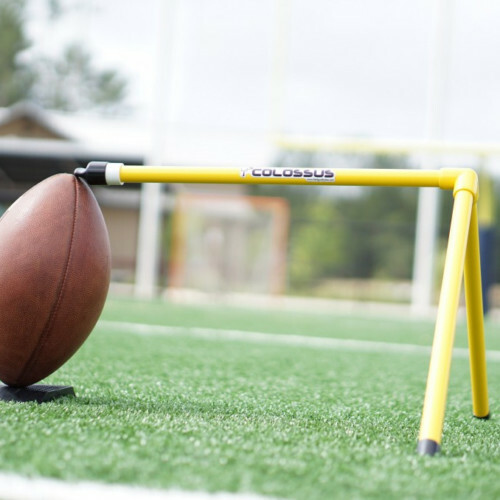 We hope you will enjoy your new COLOSSUS football kicking holder for years to come. Bright yellow UV-resistant body and connector, solid-color, injection molded and extruded through out the entire body. If the surface is scratched or scuffed, the color will stay the same. Flat/flush vinyl holding finger design and foot caps, longer legs for maximum stability. Why will COLOSSUS likely be the last football kicking holder you ever need to buy? Simply put, there are no moving parts to loosen or break over time. There are no metal-based legs that can warp. There are no hinges that loosen over time. There are no spot welds that can break causing the arm to fall off. There is no foam material on the holding finger that can deteriorate with use. 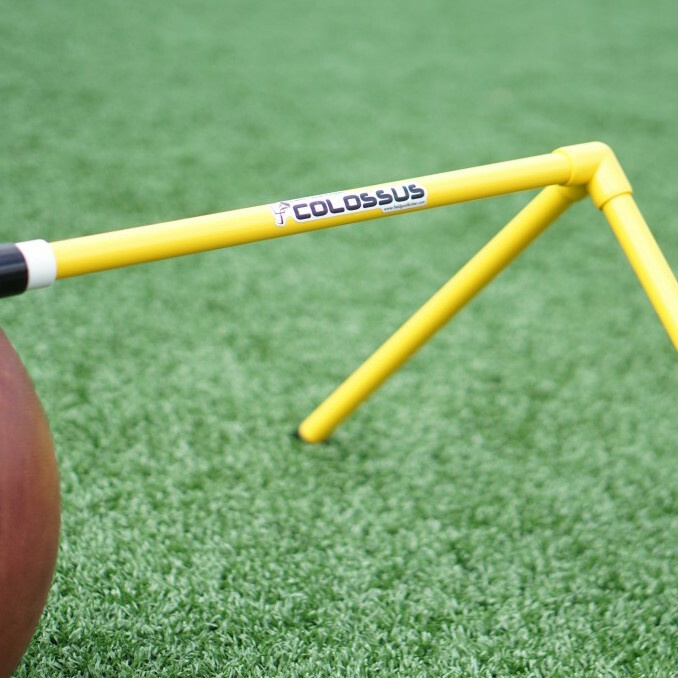 The COLOSSUS football kicking holder uses a hollow arm with super light weight tip. That durable tip we use is made of tough vinyl, which means it is flexible yet extremely durable. It won’t split, tear or shred. The cap shape we chose to hold the football in place is designed as a flat surface area touch point to keep the fall in place and at the angle you need for your kick. That is a big difference with our holder, it relies on light weight surface tension or the shape of the flexible tip rather than a heavy metal arm to keep the least amount of weight on the ball – similar to the light touch of a ‘human’ holder. Choose the free shipping option at purchase and we will package your holder to ship via first class mail. Using this method will not involve the triangular red, white and blue shipping box marked PRIORITY. Rather, you will receive your new holder in a solid black bag. Please keep in mind that USPS First Class shipping may not arrive as quickly as Priority, but based on our many historical records now, delivery within the US is likely to be within a couple of days of PRIORITY shipping by comparison AND is tracking at no extra cost via the USPS website just like PRIORITY. If decide this holder is not for you after purchase for any reason, simply email [email protected] within 14 days for a full refund. We ask that you ship the holder back to the mailing address we provide in our email response. Once we receive the holder (unused and undamaged), we will refund the full sale price (refund via PayPal) excluding any extra shipping costs (if you chose to pay extra for Priority Shipping for instance) you paid at the time of purchase.